The Arlington Memorial Gardens has contracted Shred-It, the leading document destruction company in the world, for this special free community event. ​Our Homework Help Aide is available to help K-8 students with their homework, reading, and study skills Monday-Thursday from 3-6 pm. This is available through May 10th and will pick-up again once the school year starts in the late summer. The City of Mt. 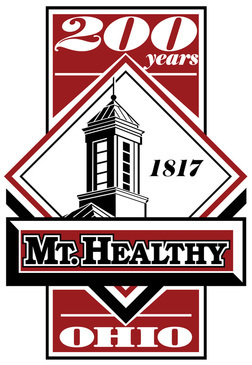 Healthy celebrated its 200th anniversary in 2017. As part of the Bicentennial Celebration, the Bicentennial Committee published a book featuring a comprehensive listing of all Mt. Healthy Veterans, living or deceased, going back as far as possible. This book is a commemoration of Mt. Healthians who have served in the armed forces. Every effort was made to include information for all veterans we could find. You can purchase the book here and pick it up at Mt. Healthy city hall. If you need to have a copy shipped to you, you can order it through Amazon and have it shipped directly from them. It is also available for Kindle. You can order it here. With this book you can learn where your military friends are and reconnect, or simply remember and honor the service of those now gone.